Despite being almost two years old, my daughter still prefers her sweet potatoes in the form of baby food purées with nothing else added. I suspect this has as much to do with the appeal of the natural sweet potato flavor as it does with the entertainment value of practicing the transfer of bright-orange mush from jar to mouth with her new spoon-wielding skills. If you’ve ever tried sweet potatoes just on their own you know they’re naturally pretty sweet. But if you’ve ever tasted streusel topping you also know that it pretty much makes anything even better. I’m categorizing this recipe under “Side Dishes” but, like many Thanksgiving sweet potato dishes, it nearly qualifies as dessert. 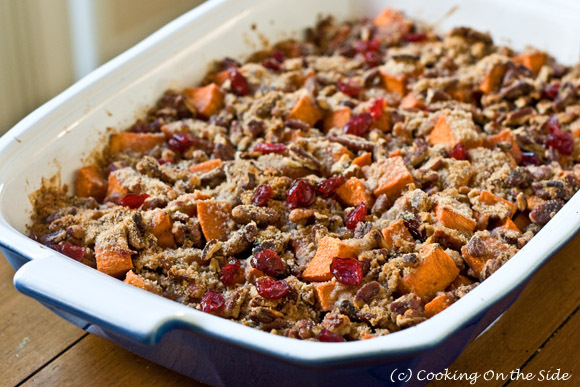 The sweet potatoes are roasted with brown sugar, dried cranberries, orange juice, vanilla and spices but it’s the cinnamon pecan streusel topping that really pushes the dish into dessert-like territory. It’s almost like a sweet potato crisp…which, it turns out, is really good! That said, I think I’ll have trouble convincing the folks at my dinner table to accept anything besides pie as dessert on Thanksgiving, so a side dish this is. Mix 1/4 cup of the brown sugar, orange juice, vanilla, 1/2 teaspoon each of the cinnamon and ginger, and salt in a large bowl. Add sweet potatoes; toss to coat well. Spoon into a 13×9-inch baking dish. Sprinkle evenly with cranberries. Dot with 2 tablespoons of the butter. Cover with foil. Bake in preheated 400°F oven for 30 minutes. Meanwhile, mix flour, remaining 1/2 cup brown sugar and remaining 1 teaspoon each cinnamon and ginger in a small bowl. Cut in remaining 4 tablespoons butter with a fork until coarse crumbs form. Stir in pecans. Remove sweet potatoes from oven and stir gently. Sprinkle evenly with pecan topping. Oh, Kathy! 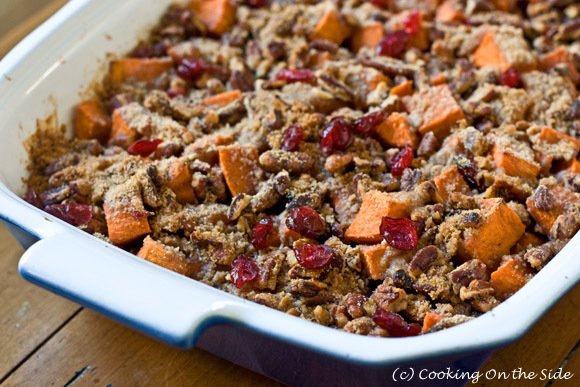 I have to try this for the Cinnamon Pecan Crunch topping along (not to mention that I LOVE sweet potatoes). Hard to believe this recipe came from a McCormick’s pamphlet—I’ll have to look through those tiny cookbooks a bit more carefully from now on. 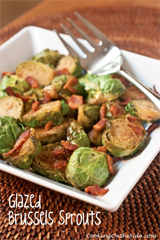 .-= Sandie (Inn Cuisine)´s last blog ..Enlivening Holiday Spirits! 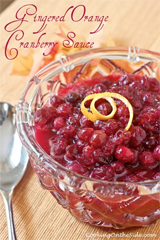 (Recipe: Big Mill’s Festive Cranberry Liqueur) =-. I was pleasantly surprised by what I found in that little pamphlet! Wow! I wish I would have seen this sooner–it looks incredible! .-= Dawn (HealthySDLiving)´s last blog ..Happy Thanksgiving! =-. I hate sweet potatoes, but this was fantastic! My favorite part of our whole Thanksgiving meal! I doubled the “sauce” recipe because the potatoes still looked a little dry after I coated them. I was afraid it might have been too strong, but it was perfect! 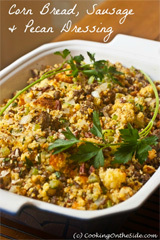 Next post: 8 Traditional Thanksgiving Recipes…On the Side!